CBS Celebrity Cook-Off vote could mean $5,000 for Hats Off For Cancer! Our own board member, Eric Christian Olsen, who plays Marty Deeks on NCIS: Los Angeles, needs our votes for the CBS Celebrity Cook-Off competition to help win $5,000 for Hats Off For Cancer! Just go to this web site: http://www.cbs.com/superbowl/celebrity-cook-off/ and click on the Vote buttons next to Eric’s recipe. Share them on your facebook page and twitter. The more votes, the better! 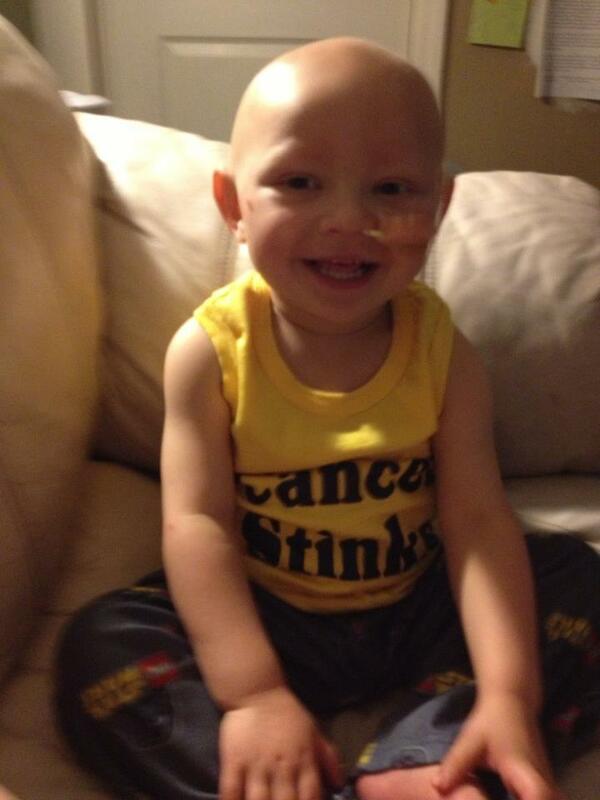 This week we would like to honor two-year-old Johnathon Cahill, currently fighting stage 4 cancer. This little boy is an inspiration to many. A day after mother’s day this year, his family saw a lump bulging from his stomach. After spending nearly a week in the hospital, doctors diagnosed him with a type of liver cancer called Hepatoblastoma. This type of cancer only affects one in 1.5 million children. The tumor covered 6/8th of Johnathon’s liver. In August, doctor’s resected Johnathon’s liver. Since he also had two small tumors on his lung, he was considered a stage 4 cancer patient. He is currently undergoing chemotherapy, getting shots, and taking medications to beat cancer. He gets right back up and plays with you. Even when the chemo makes him unable to walk, he will sit on the floor and play through the pain. Johnathon loves dancing and playing with cars and animals. 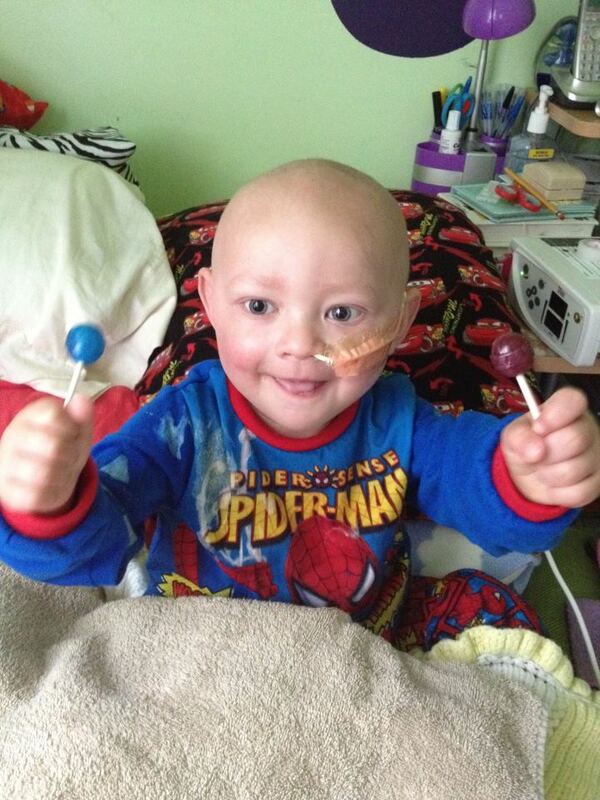 He has a strong personality that shines right through…and is a strong little boy who was born a fighter. While he’s in the hospital, he makes everyone smile. The nurses told us that Johnathon is the reason that they love their job! He’s inspired me to become an Oncology nurse and graduate a year early. Sarah also says that some weeks are tougher than others. This week, he starts chemotherapy at Columbia in NYC for his last three week round. His family is incurring heavy medical costs, medication fees, as well as travel costs to get back and forth to the hospitals for Johnathon. Johnathon’s name means “Gift from God” and he truly fits that meaning. Cancer won’t bully Johnathon, he will win this battle! You can help Johnathon and his family! First, check out his Hope for Johnathon facebook page set up by his sister, Sarah, and “Like” it. Then head over to the fundraising page set up for him and his family and donate whatever you can to help out this brave 2-year-old. Every little bit helps! It’s obvious by looking at this little boy that he can light up a room, but he is also an inspiration to us at Hats Off For Cancer, making it easy to name Johnathon our HOC Hero of the Week! Join Us in Helping Kids with Cancer! Cancer has touched the lives of so many people and this is one way you can be involved and help. The campus of Central Michigan University is having a collection drive from April 16 to April 30 for Hats Off For Cancer. Coming to campus for a baseball or softball game? Drop off a hat! Thought of someone special that you miss or hugged a child? Drop off a hat in their honor. 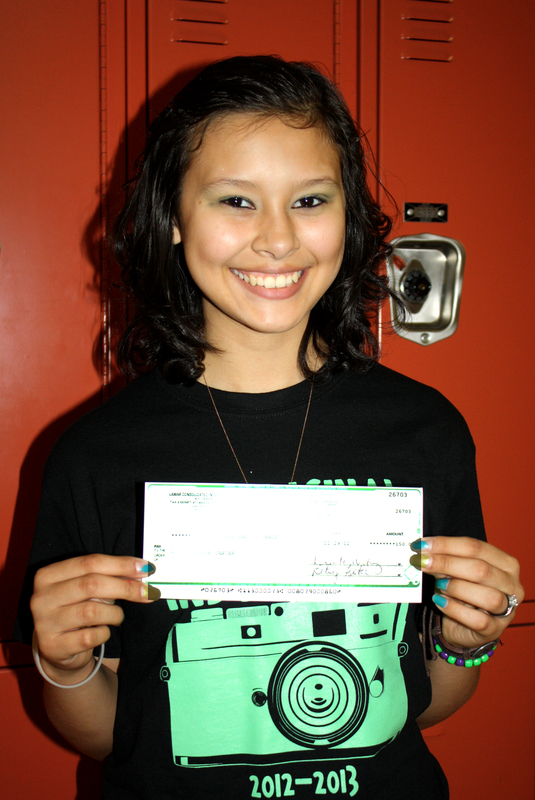 Donations may be made in honor of a cancer survivor or in loving memory of someone special.